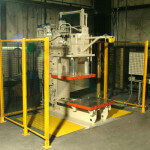 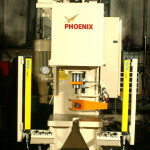 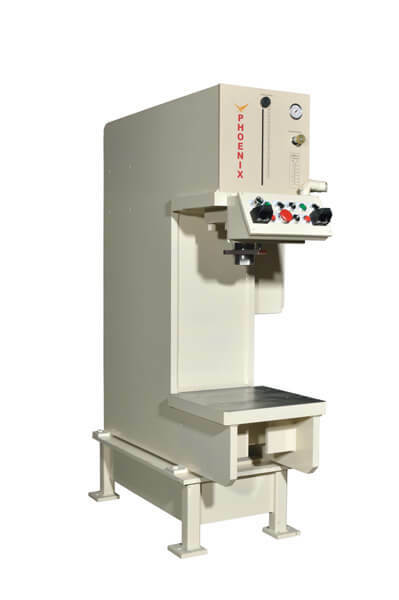 Our customer manufacturing process required us to modify our standard our PHX 30 ton bench press. 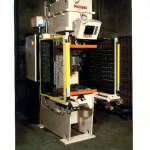 We changed our cylinder to a 1”-14 female thread in the end of the rod for attaching tooling. 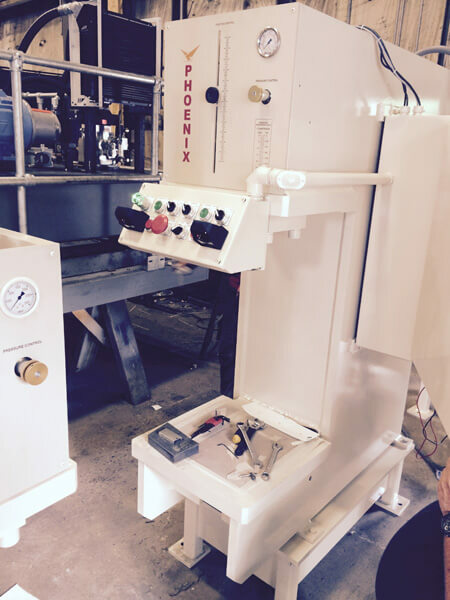 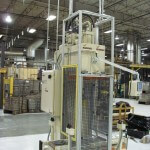 We also moved the two hand ergonomic switches to the front of the press to free the side of the press for a conveyor.